Synopsis: Fueled by his restored faith in humanity and inspired by Superman’s selfless act, Bruce Wayne enlists the help of his newfound ally, Diana Prince, to face an even greater enemy in Justice League. At the end of Batman v Superman: Dawn of Justice, the DC Extended Universe put itself on a path with one inevitable destination. Now, that destination has arrived in the form of Justice League, the superhero team-up movie that would bring DC Comics’ most iconic heroes together in one cinematic adventure. 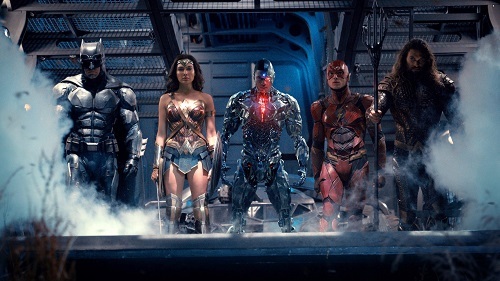 This is Superman (Henry Cavill), Batman (Ben Affleck), Wonder Woman (Gal Gadot), Aquaman (Jason Momoa), The Flash (Ezra Miller), and Cyborg (Ray Fisher) all on the same screen, for the first time in a live action film. To Justice League‘s credit, the film delivers some incredible moments that meet or exceed the immense personas that surround these mythic comic book figures. 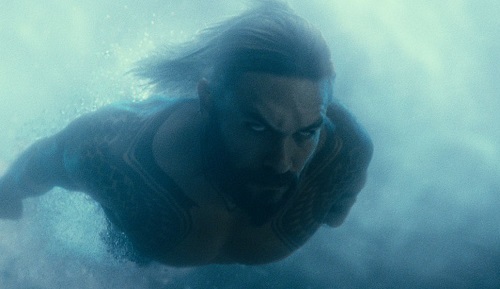 Getting to see Aquaman zip through the sea or The Flash run on walls is a real treat, even if the characters themselves lack depth. And by its conclusion, Justice League has firmly established a large DC Comics universe that reaches beyond Superman and Batman. There is a vast lore to be mined in the future standalone movies for each of these characters, and their inevitable re-team-up will be something special. Those who oppose Steppenwolf fair a little better, but to varying degree. Gal Gadot’s Wonder Woman is still as charismatic as ever, but it’s pretty clear that her role was expanded following the success of her standalone movie. Ben Affleck’s Batman still steers the DC ship if only because he is Warner Bros. most bankable icon. While Affleck is a fine Batman, arguably a more playful one in this film than BvS, he spends a lot of time doubling for the audience. He is the character that either does a lot of the explaining or is explained to. And Superman? Well, he’s definitely in the film, but talking about his character would be too much of a spoiler and might overplay his role in the film. There’s a reason Cavill hasn’t been a major part of the marketing. Of the new blood, Ezra Miller and Jason Momoa get the most opportunity to shine and both acquit themselves well. Miller gives The Flash/Barry Allen a manic energy that suits a universe that’s known for wavering between brooding seriousness and altruistic heroism. Momoa, on the other hand, gets to be the bad boy of the group, which may not be a familiar color for Aquaman, but it works for the most part. If any character gets the short end of the stick it’s Ray Fisher’s Cyborg, who has zero personality and barely any chemistry with the other actors. It’s not Fisher’s fault, as the script does him no favors in the way it treats Cyborg as a character. As a whole, Justice League still has a handful of fun character moments and it’s a lot easier to follow than many comic book movies these days. If you have any familiarity with these characters there are some payoffs and sequences that will give you goosebumps or slap a big smile across your face. But stepping back and looking at Justice League as a piece of entertainment, it has too many flaws to earn a general recommendation. Those who think comic book films are too effects-heavy or too bogged down in introducing more and more characters will look at Justice League as “Exhibit A,” while DC Comics fans have likely already seen the movie and are planning to see it at least one more time this weekend. 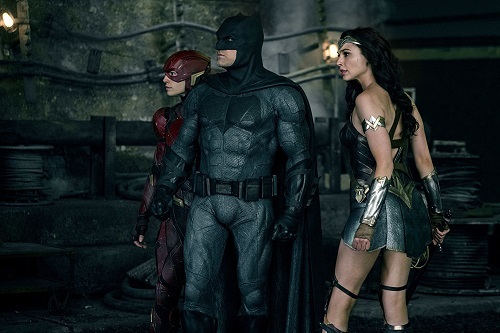 Many will say that they can’t wait for the future post-Justice League, but that shouldn’t overshadow the film’s struggles and its shortcomings. These characters deserve a movie that matches their epic personas, but instead, it’s a big disappointment. Justice League‘s script feels like a direct response to the criticism of the DC films that preceded it. The story sheds all of the fluff and is focused on two things: building the team and stopping the bad guy. Unfortunately, no one stopped to ask if the bad guy or his arc was interesting enough. The film also jams a lot of exposition and introductions into a 2-hour runtime, so it’s hard to become invested in these new characters or to be reminded of why you like the old ones. 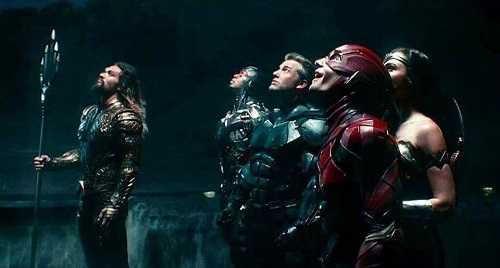 It almost feels like the Justice League filmmakers knew this film was never going to live up to expectations, so they kept it short, avoided using any of the major DC storylines or villains, and got through all the awkward world building all at once. What that does make for is a stepping-stone from which future Justice League films can build and improve, but it also makes this current one really hard to watch at times. If you can look past the generic CGI backgrounds and the tired CGI henchmen, Justice League does have those comic book moments that will have audiences cheering and smiling. The film isn’t packed to the brim with them, and there is a lot of slop to sift through, but they are there. Basically, if you are a fan of any of these characters, save for Cyborg, you will get at least one fist-pumping moment. Should the final showdown where the Justice League comes together and topples the big bad have been better? Without question. But it’s still somewhat enjoyable.